Allows for up to 34" tall tires. Includes heavy-duty fabricated steel upper control arms. 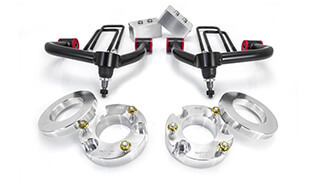 ReadyLIFT Suspension Inc. is excited to offer our popular 3.5" SST Lift Kit for 2011-2019 Chevy and GMC 2500HD truck with our all-new heavy-duty Xtreme-Duty upper control arms. 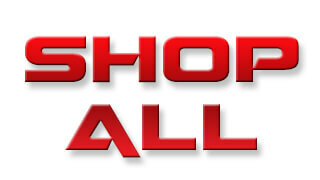 This is a premium lift solution that won't break the bank nor permanently modify your truck. This is a true bolt-on Lift kit with the premium benefit of including our new ultra heavy-duty control arms! 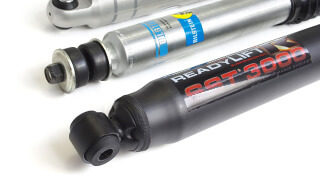 The 69-3513 SST Lift Kit by ReadyLIFT® will lift the front of your new HD truck a maximum of 3.5 inches! 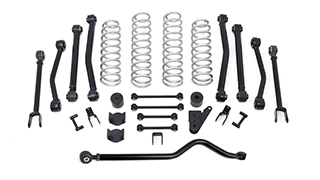 This awesome SST Lift Kit for 2011-19 GM HD trucks includes a pair of tough heavy-duty fabricated steel upper control arms with 1-ton ball joints and maintenance-free TCT pivot bushings. 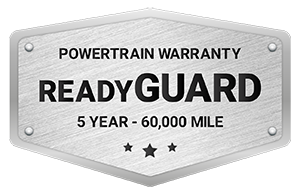 This kit is engineered to match the strength of your truck. 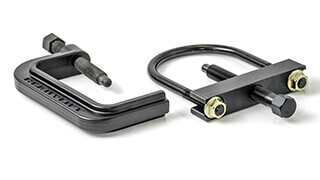 2011-2019 2500HD-specific lift-oriented ReadyLIFT forged torsion keys provide an adjustable lift while maintaining the factory ride. These super strong forged torsion keys are stronger than stock with the same design and features an indexing that is unique to this kit! 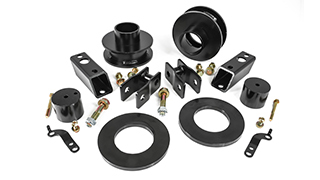 The 69-3513 Lift Kit also includes CNC-machined differential drop spacers which lowers the differential and puts the front CV axles into safe factory angle on 4WD trucks. 2WD trucks will not use the diff spacers. 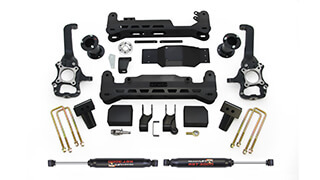 To lift the rear of your new Chevy Silverado 2500HD truck, the ReadyLIFT SST Lift Kit includes OEM style 1.0" cast iron rear lift blocks complete with new u-bolts and hardware. 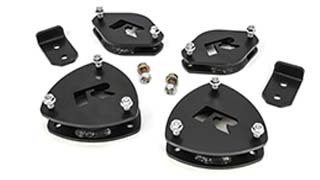 A Tow Package version of this kit is also available with a taller 2.0" rear lift block (69-3514). 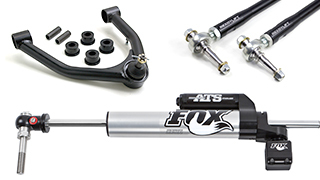 This kit includes SST3000 Shocks. 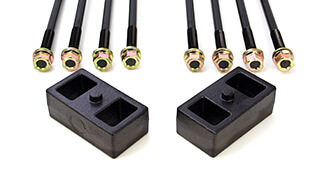 Also included with this kit are new super strong tie-rod end assemblies to replace the weak factory versions. For the longest time, GM tie rod assemblies have been a weak link on all GM trucks. 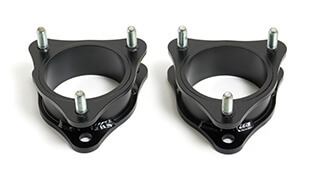 These heavy duty steering assemblies install easily and incredibly stronger than the OEM units. You won't find this kind of attention to detail with any other lift kit for the new GM HD trucks! This great combination gives the new GM HD trucks a great raised stance using super strong components and allows for up to a 34" tall tire. NOTE: Single Rear Wheel Only. 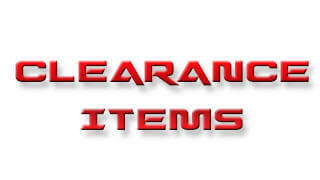 NOTE: Not for use on trucks equipped with factory TOP overload spring commonly referred to as a camper package.